If you have been watching your TV closely lately, you will realize that respect for private information is paramount. There is no way in the world you are going to paint someone out there without his or her consent. That is why media release forms were created. 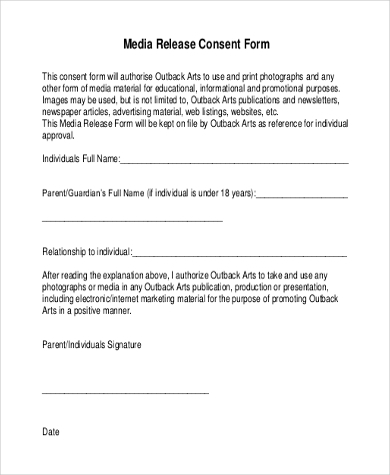 And there is just one purpose of these Release Forms they help you to get consent for media release from people whose information you find worth sharing. Here is the list of the best sample templates. 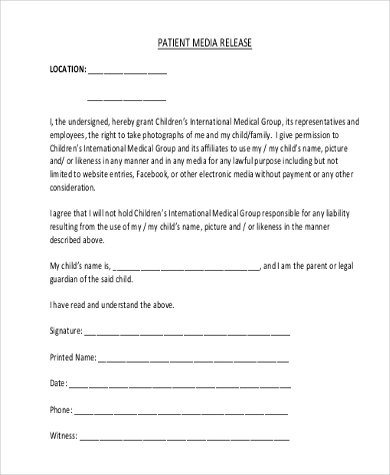 If you do not have the time on your hand to create a new consent form every time you need to seek permission to use information, then you will find the following sample file quite useful. You May also see Lien Release Forms. Seek permission to use someone’s information before you actually go ahead and use the information. Here is a template that you can use to do that. The file is available for free download. Don’t just go ahead and put someone’s photo online or on paper without his or her consent. You need to seek for a media photo release. You can use this sample form to save the time. 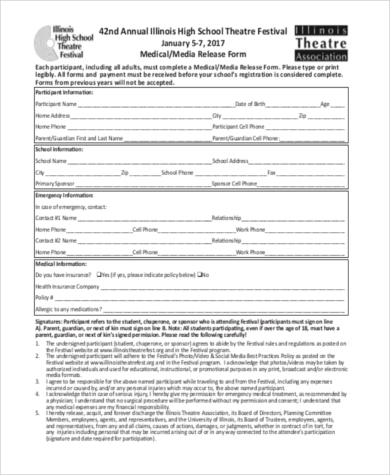 You can also see Medical Release Forms. 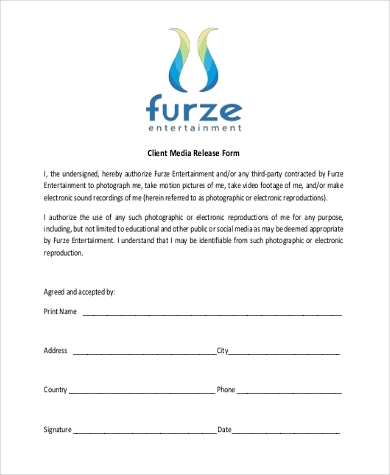 If you have never interacted with a sample media release form before, here is an example that you can download for free and use. The template is free to download. You can use it as a guide to help you create yours. 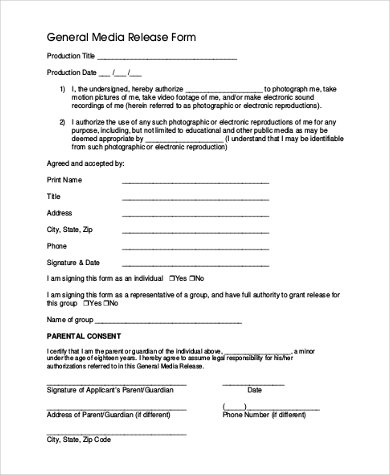 This sample file is suitable for seeking for the consent of any kind before information release. 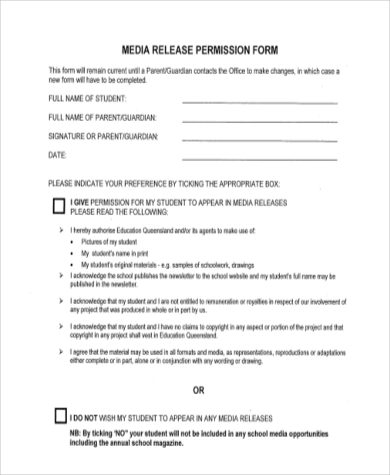 Whether you need personal information consent or you are looking for a more reliable record, use the following template. You no longer have to spend a lot of time creating the form from scratch. The best thing you can do is to download this sample form and use it instead. It is free to download and easy to edit. Before personal information goes live in social media, it would be wise if you get information consent first. And you can do that using the following sample template. The file is free to download. If you find it easy to grow your media business with clients’ information, it would be best to seek their consent first. 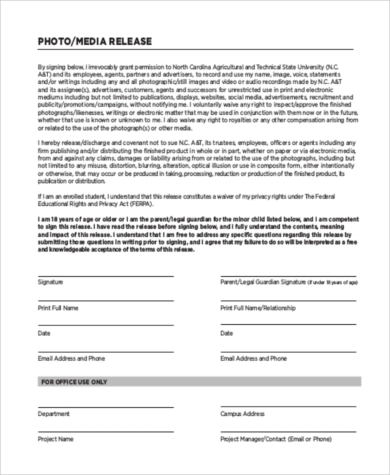 Here is a sample form that you can download and use for free. If you are looking for a patient medical release, then you are actually looking for someone who can accept that they are fine with their information for the media. So use this sample file. People won’t take it easy if you reveal their medical release to your audience without their permission. So it is best you use these sample file to get a consent from them before you can start publishing. 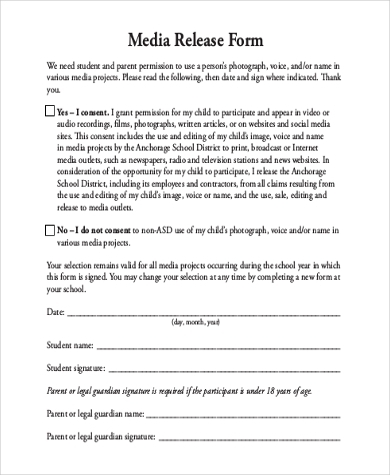 Why are Media Release Forms Important? You need to seek for permission before you can use the content of someone else. As such, these files are quite necessary for the task. Also, you need to make sure you ate using the information provided you the right way. And the best way to do that is to make sure you let the person know how you plan to use their information. After you get the consent of someone, feel free to use the information they give you as you wish. 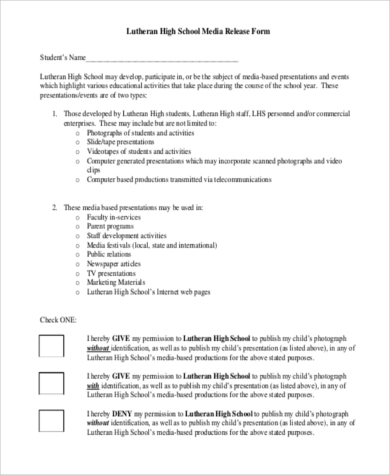 You may also see Video Release Forms. They are free to download. You are not going to spend a dime on these templates. So, it is great to know that you can download them free at any time and use the template to ask for media release. They are the best time saver. If you are wishing to save time and money, then you can use these best sample files. That is because they are ready for print and you don’t have to do any editing. 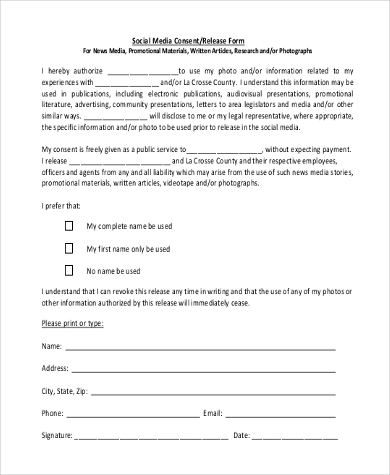 You can also see Photo Release Forms. You can only release someone’s information if he or she has given you the permission to do so. If they have not, it would be wise if you don’t do it at all. At the end of the day, these forms have been built to help you get the right information and then use that information without hurting anyone in the process. You may also see Talent Release Forms.